How I Fell in Love with Reading. Twice. When I was young, my mother had to literally force me to learn how to read. I remember she would make me sit for what felt like hours (but was probably only 10 minutes) and practice reading. I hated it. But my mom knew that it was an important skill and so did not give up on me. Even once I finally started getting the hand of the whole reading thing–I was still really slow. But I did enjoy stories. Then a single book changed everything. My mom got The Boxcar Children from the library. We started with book 1 and that was it. I was hooked. My new favorite place was the library and I read everything I could get my hands on. In the course of one summer I went from being two grades behind in reading to being three ahead. And it was all because of this one book that sparked my love for reading–for the first time. I recently fell in love with reading again, and not only did it spark my imagination it set me on the right path for my on stories. See, back then when I was devouring everything I could get my hands on–I quickly found and became fascinated with the Science Fiction and Fantasy genres. But I could not find many for my age group. So I started reading young adult and adult books. That may have helped with my reading comprehension going up so quickly. Fast forward to my adult life. I had written my very first novel. An adultish/young adultish type story that was a high fantasy and had been my main writing project for over 10 years. I wanted to submit it to a specific publisher. So I went to what is still my favorite place: the library. I checked out several books published by this company and set about reading them. They were all middle grade science fiction and fantasy stories. And an amazing thing happened. That same spark, the excitement that I got sitting on my mom’s bed while she patiently helped me read The Boxcar Children out loud, came again. I got to fall in love with reading once again and it revitalized me. Since then I have been on many reading binges. I really like middle grade but I still read books for young adults and adults. I enjoy it all pretty much. But something else amazing happened after I fell in love with reading again. I found my niche in writing. Yep, I really liked writing middle grade level fiction. That path led me to releasing my very first novel. (Check out our catalog to see my book and other great books to read). Now that I am mother, I plan to work as patiently and tirelessly as my mom did and hope that my children get to experience falling in love with reading. Ah, that first book love. For me, it was the Black Stallion series. I reread two of them this past year and fell in love with them again. It’s amazing how just one author can set off a chain reaction that will spark joy in a person’s life! Great post, Krista! I loved the Billy and Blaze series! This just makes me happy all over. I think it was the OZ series and the Chronicles of Narnia that sold me on reading. Middle grade books are so awesome because they have timeless values, lots of energy, and they spark the imagination. Oh my gosh! 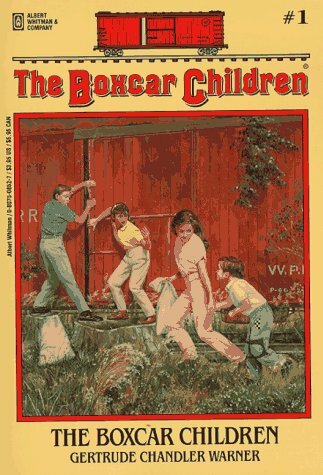 I remember the Box Car Children I loved that series! Then it was on to the Bobbsey Twins and Nancy Drew. I also read the Chronicles of Narnia. Just reading this post brings back so many positive memories. Thanks for sharing it with all of us. The first series I remember devouring like that was Encyclopedia Brown. I was angry when I ran out of books and couldn’t find more like them!